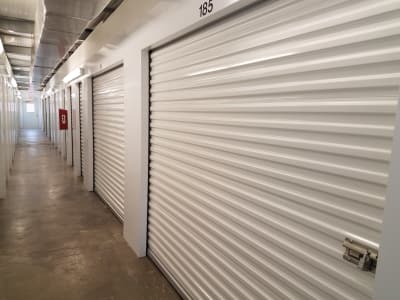 Monster Self Storage offers a variety of storage units for rent in Ocean Isle Beach, NC. Our storage units feature high ceilings for additional storage space, giving you more bang for your buck. Ground-level storage units and wide driveways increase convenience and accessibility for our renters so you can easily pack in or pack out your items. Customers use self storage for an array of reasons from personal to commercial. At Monster Self Storage, we have Ocean Isle Beach storage units to meet your specific requirements. Temperature-controlled storage units provide a great option for both personal and business storage. Many of our business storage customers like temperature-controlled units when they have extra inventory and temperature-sensitive equipment or documents. This specialized kind of storage works great when storing antiques, electronics, artwork, and furniture, as it keeps a consistent temperature inside, no matter what the weatherman says will go on outside. Monster Self Storage offers RV and boat parking and storage space in addition to personal and commercial storage units. These uncovered parking spaces provide a reliable and convenient location to keep your biggest investments, including vehicle and motorcycles. No matter the reason, find the perfect self storage solution at Monster Self Storage in Ocean Isle Beach, NC.